IP Result of anti-LIN9 (IP:17882-1-AP, 4ug; Detection:17882-1-AP 1:1000) with HEK-293 cells lysate 1100ug. LIN9, also named as BARA or TGS, is a 542 amino acid protein, which belongs to the lin9 family. 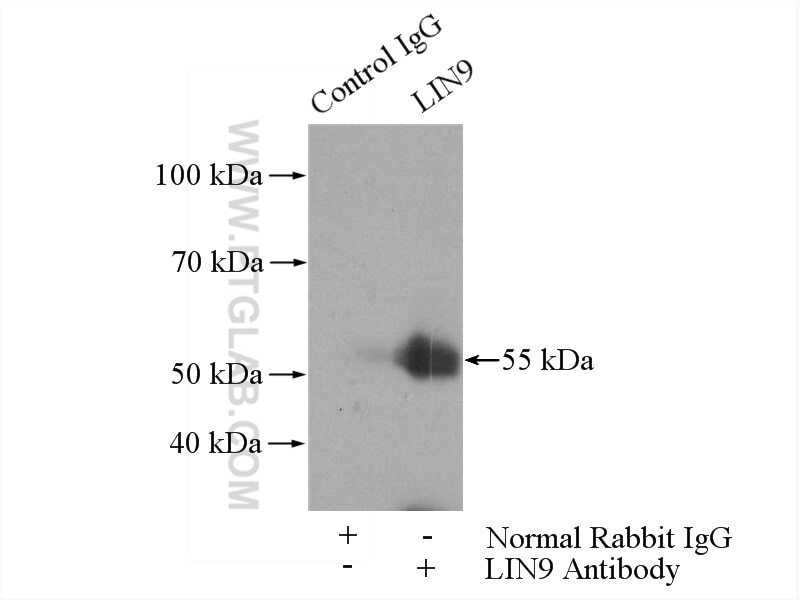 LIN9 localizes in the nucleus and is expressed in thymus and testis. LIN9 acts as a tumor suppressor and inhibits DNA synthesis. LIN9 plays a role in the expression of genes, which required for the G1/S transition.